Two times a year, Junebug Weddings gets super excited to show you exclusive behind-the-scenes looks from bridal fashion week. 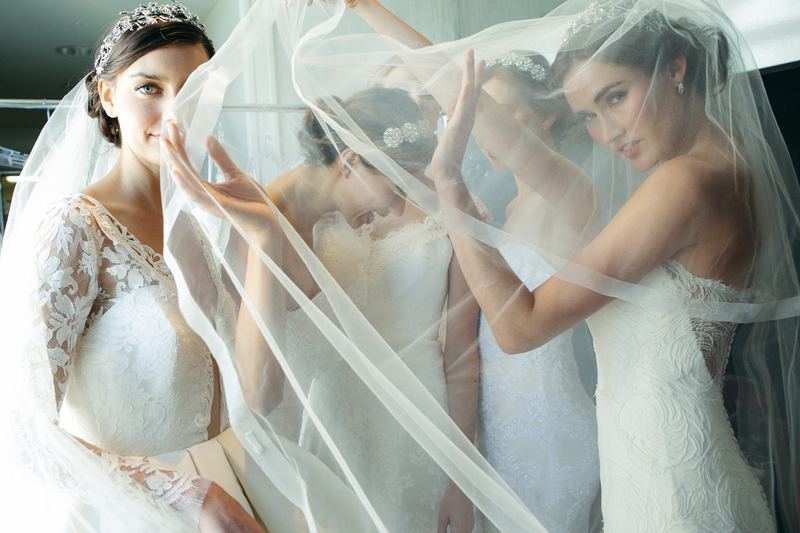 October just flew by, and with that brings incredible new collections from designers like Berta Bridal, Claire Pettibone, Galia Lahav, Ines Di Santo, Rivini, and Sareh Nouri! Our collaboration with immersive photographer Syed Yaqeen of SYPhotography invites you into the dressing rooms of some of the world’s most renowned designers in bridal fashion. Take a look! A huge thank you to Syed Yaqeen of SYPhotography for giving us a glimpse into bridal fashion week 2015! Love what you see? Head over to our extensive Dress Gallery to find these and more inspiring designs for your big day! Wonderful and very fantastic photography looking awesome . The bride dresses are very colorful . I remember that, everybody like those dresses.